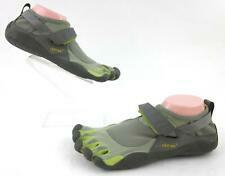 Save vibram five fingers 43 to get e-mail alerts and updates on your eBay Feed. 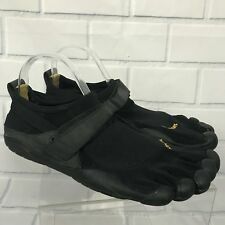 Unfollow vibram five fingers 43 to stop getting updates on your eBay Feed. 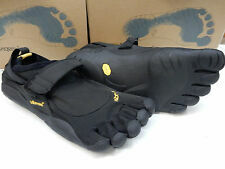 Vibram Fivefingers EL-X Black Men's sizes 37-50 NEW!!! 🇺🇸VIBRAM FiveFingers V-TREK Black Khaki Men's Shoes 40-48EU Trail Running NEW! Vibram Fivefingers KSO Trek Black/Black Men's sizes 40-47 NEW!!! 🔥VIBRAM FIVEFINGERS CVT-Hemp BLACK Minimalist Men's Shoes 40-47EU NEW!!! Vibram Fivefingers Trek Ascent Insulated Khaki/Orange Mens sizes 40-47 NEW!!! Vibram Fivefingers KSO EVO Grey/Black Men's sizes 37-50 NEW!!! Vibram Fivefingers V-RUN Black/Yellow Men's sizes 38-50 NEW!!! 🇺🇸VIBRAM FiveFingers V-RUN Black Yellow Men's Running Shoes 40-47EU NEW!!! Vibram Fivefingers CVT-Wool Navy/Grey 42,43,45 NEW!!!! Vibram Fivefingers V-Trek Black/Gum Men's sizes 40-47 NEW!!! 🇺🇸VIBRAM FiveFingers CVT-Hemp BLACK Minimalist Men's Shoes 40-47EU NEW!!! 🔥VIBRAM FiveFingers V-TREK Black Gum Men's Shoes 40-47EU V Trek 8-12US NEW!!! 🇺🇸VIBRAM FIVEFINGERS V-ALPHA BLACK Men's Shoes 40-48EU V Alpha 7.5-12US NEW!!! 🇺🇸VIBRAM FiveFingers V-TRAIN BLACK GREEN Men's Fitness Shoes 40-46EU NEW!! 🔥VIBRAM FiveFingers V-TRAIN Black Green Men's Shoes NEW! Vibram Fivefingers V-Trek Khaki/Black Men's sizes 40-47 NEW!!! 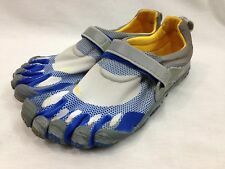 Vibram Fivefingers KSO Grey/Palm/Clay M145 Men's sizes 40-50 NEW!!! This page was last updated: 22-Apr 20:02. Number of bids and bid amounts may be slightly out of date. See each listing for international shipping options and costs.